Arabian Automobiles, the flagship company of the AW Rostamani Group and the exclusive dealer for Infiniti in Dubai, Sharjah and the Northern Emirates, has officially opened its new Infiniti Center in Sharjah, UAE. 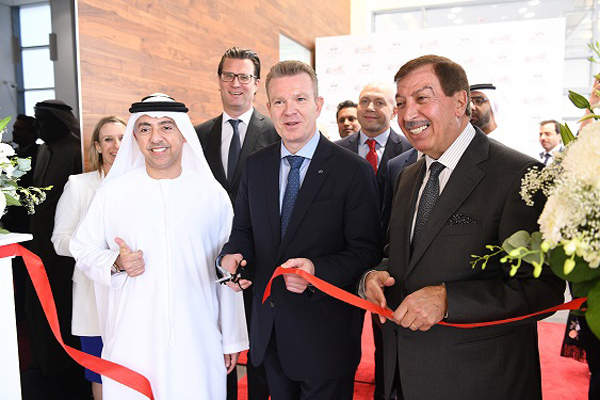 The new centre, located at Sheikh Mohammed Bin Zayed Road, is part of Arabian Automobiles’ wider expansion plans and has been established to cater to customers in Sharjah, Ajman and Um Al Quwain, strengthening the company’s presence and services in the Northern Emirates, said a statement. “Expanding Infiniti’s dealer network and building customer confidence is a prime focus for the brand, and in line with this strategy, our new centre will allow us to support customers throughout every stage of the car purchasing and ownership experience in one location, offering them maximum convenience and high-quality services that they can trust,” he said. Since Infiniti’s UAE launch, Arabian Automobiles has opened a total of five showrooms in Dubai, Sharjah and the Northern Emirates, with the largest on Sheikh Zayed Road in Dubai. The new Infiniti Center can accommodate up to 10 vehicles and includes a fully-fledged service facility, which means that customers can purchase vehicles on site and also look after their ongoing maintenance at the same location. Arabian Automobiles has been recognised with a series of awards which acknowledge the company’s exceptional customer service standards. In May 2017, Arabian Automobiles was recognised as the leading National Sales Company in the Infiniti Middle East FY16 Quality Excellence Programme, making it the second year running that the company has secured the top honour.